It can be challenging to find joy and connection with your partner when life becomes familiar. When was the last time that you just stared into your lover’s eyes for longer than 15 minutes? I have been married to my husband, Justin, for almost 13 … no, for 12 years now. In that time, we have grown our spa business, school, and bed and breakfast. We’ve had four children. Honestly, there have been many times where, we’ve just been like ships passing in the night. We accomplish a lot of important things: getting the kids down for bed, making sure payroll goes out, on-going maintenance around the bed and breakfast. Just getting the laundry done for the spa and our family could be a legitimate part-time job! Sometime, we just fall into bed at the end of the day with a quick, “Love you, honey.” Lights out. When it seems like we don’t have time, that’s the perfect time to Make Time. It doesn’t take much. Even once or twice a month could make a big difference in your relationship. We’ve been lucky enough to keep our date night a priority. Once a week, we make time to enjoy one another. Date night has been scheduled as a part of our routine for quite some time. I thought we were doing great. “Yeah. I would love to do that again.”, I said. Of course, we came back from summer break and jumped straight back into work. Nothing changed. Same busy life. “That sounds like a great idea”, I said. This moments of connection have had a huge impact on our lives. to have those moments of connection. When we dance, I get to look into his eyes. Two hours of laughing, smiling, doing silly and crazy. The last three weeks of dancing together have been some of the most wonderful experiences of our entire marriage. It’s really that profound. There aren’t too many things you can do with one another at that level of intimacy outside of the bedroom. I love it! We start the evening with a lesson and then we dance the night away. I’m learning to let my husband lead. It’s such a relief to have the opportunity to follow. Being an empowered woman in 2019, sometimes we forget how beautiful it is to let down our guard. Stop planning every step and see where it goes. When you have children, you and your partner are the foundation of the family. We set the stage for the energetic in the household. The time you invest to build the foundation of your relationship is precious. When that foundation isn’t sound and strong, your love can fall to the wayside and, eventually, disappear. I have always loved Justin. Now, I feel a renewed sense of respect and love in my heart for him. The time we have dedicated to really look into each others’ eyes has allowed us to make a deeper soul connection than I’ve experienced probably since before the children. Here’s my encouragement for you today. Connect. Not just with your partner. With your kids. Co-workers. Community. People you meet. When you stand opposite someone, take the time to see them. Listen and offer some space to experience who they are. Make a connection. Powerful connections create smooth interactions and relationships. 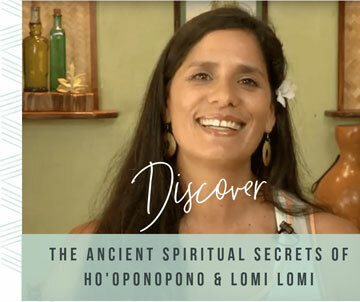 Are you willing to connect on that deeper level and experience the joy of being in the presence of another beautiful spirit on the planet? I want to hear from you…who would you like to make a deeper connection with in 2019? How will you commit to creating the space for that connection to happen? I read every comment and love sharing my stories with you!